https://www.bleuepil.com/viagra-contre-indications.html https://www.bleuepil.com/viagra-contre-indications.html Some things just get better with age. It's taken 170 years, but our building is coming into its own at exactly the right time. Much like a fine wine, the final product is worth the wait. Warm, rustic charm welcomes you in, while modern touches and our fresh, eclectic menu make for the perfect finish. 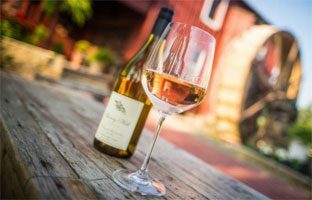 Simple and inviting and passionately crafted, with a fun, upbeat atmosphere - The Wine Mill is Northeast Ohio's premier destination for wine lovers like you. Also available for private events. see url Our menu features fun shareable dishes that pair wonderfully with our wide selection of wines. https://www.bleuepil.com/acheter-du-viagra.html We recommend you make reservations on weekend evenings by calling 234-571-2594.
https://www.bleuepil.com/alternatives-au-viagra.html https://www.bleuepil.com/alternatives-au-viagra.html Have a question, want to tour the property, book an event, make a reservation? https://www.bleuepil.com/viagra-naturel.html Get exclusive deals, invites to parties, and notifications when we will be closed for a private event.